President Trump toyed with the Paris Agreement for months before finally deciding to withdraw from it in late May. Since then, speculation has only grown over the fate of international climate negotiations, which reached a high point at the 2015 signing of the Paris climate accord. Many leaders have been dismayed by Trump’s decision, which seems to benefit very few and potentially harm very many. Now California Governor Jerry Brown, one of Trump’s most outspoken critics, is taking the proactive move of organizing his own climate conference here on American soil next year. On Thursday, Brown plans to issue a call for a global summit on “climate action” to be held in San Francisco in the fall of 2018. Brown will detail his proposal beginning at 4 PM EST via a video feed broadcast at the Global Citizens Festival in Hamburg, Germany, where the G20 is set to meet. Yes, I know President Trump is trying to get out of the Paris agreement, but he doesn’t speak for the rest of America. We in California and in states all across America believe it’s time to act. Former United Nations climate chief, Christiana Figueres, will introduce Brown on Thursday night. Figueres is also looking for ways to spur rapid climate action in her post-UN role. California has been a leader in state climate action for decades. 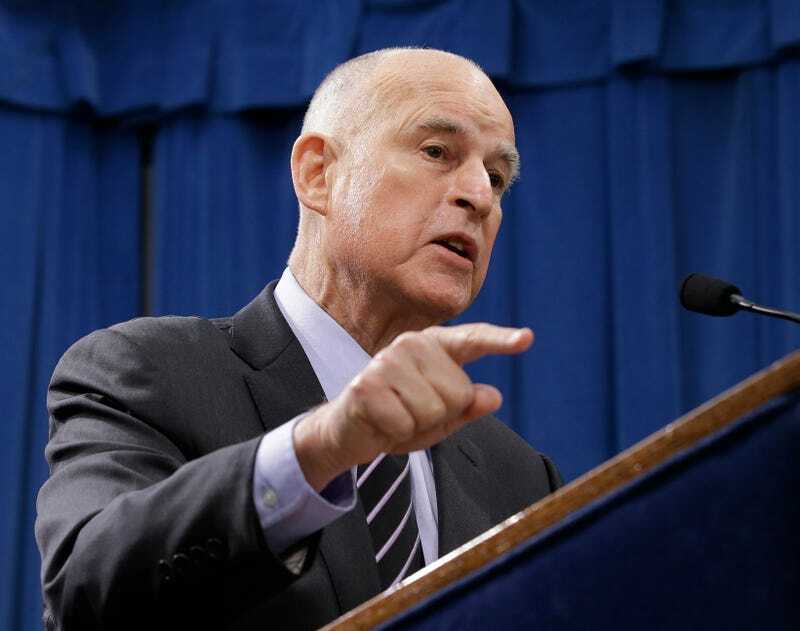 With Trump bringing climate change denier logic to the top ranks of the federal government, Brown views it as necessary to expand his role outside of the state, and to act as something like America’s unoffical climate ambassador. But it’s also not just about Trump.